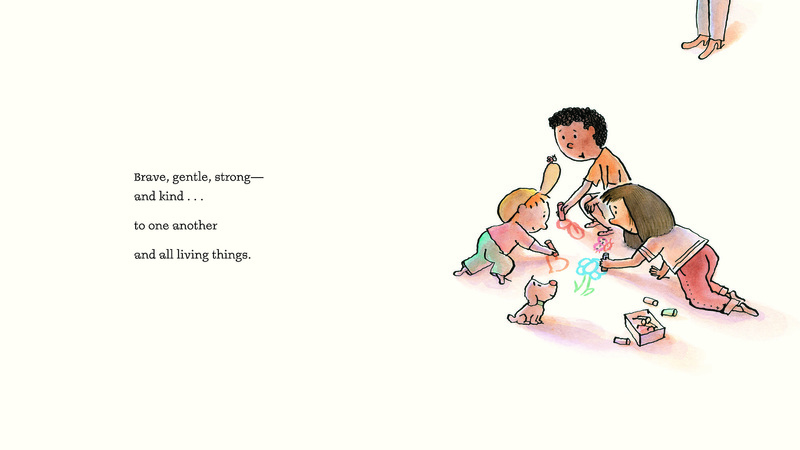 When a picture book enters a library, it takes on a life of its own. It means something different to each adult who reads it and to every child who experiences it. The art, the language, the theme, the timbre of the reader’s voice—they all add up to something magical. Sometimes that magic remains contained in the library, or home or school, but occasionally it seeps out into the world. It goes beyond the book, through the the reader, and into the greater community. 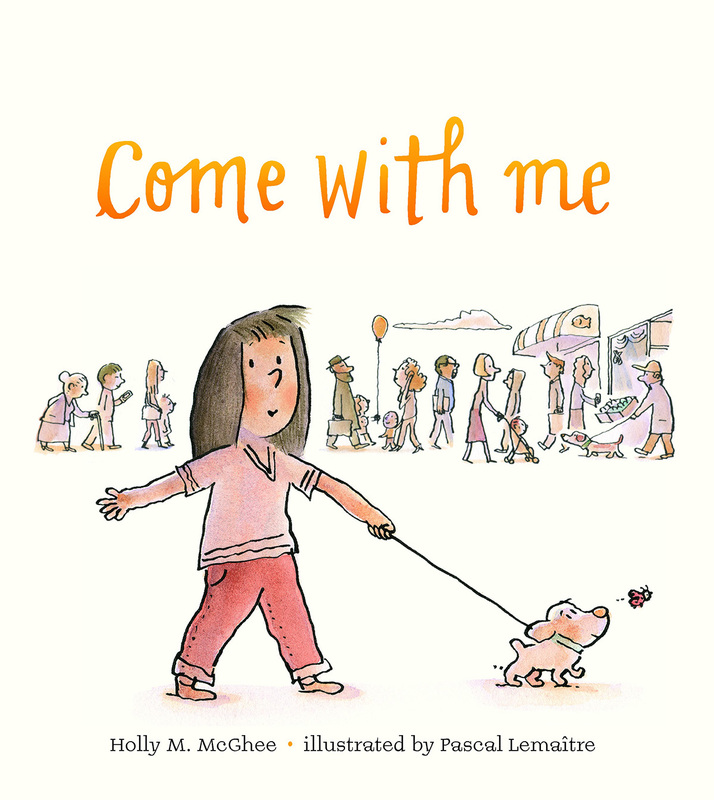 Come With Me, by author Holly McGhee and illustrator Pascal Lemaitre, is a picture book about how small acts of kindness can be antidotes to hate. It is about bravery and community and love. In September of 2017, a very special event was held at Rizzoli Bookstore in NYC to launch Come With Me into the world. It featured a talk with Holly and Pascal, as well as Matt Dillon (Academy Award Nominated Actor & Refugees International Board Member) and Sam Waterston (Academy Award Nominated Actor & Refugees International emeritus Board Member). Since its launch, the book has been embraced in unique ways in diverse communities around the country. 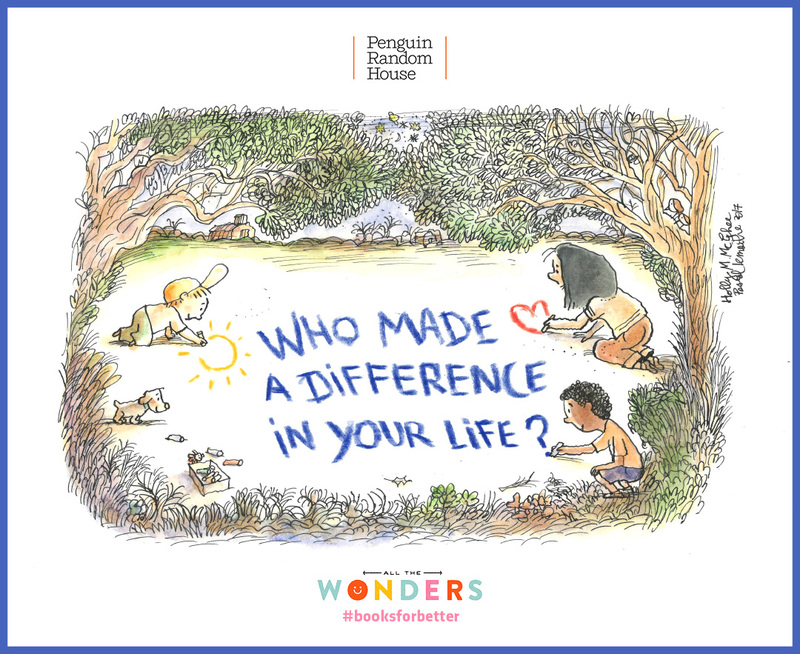 In that spirit, and in the spirit of the holidays, All The Wonders is proud to celebrate Come With Me by premiering the launch event video below, exploring how the book has inspired kindness and gratitude in schools, sharing special postcards from the author and illustrator, and offering a one-of-a-kind original art giveaway! Come with us, won’t you? 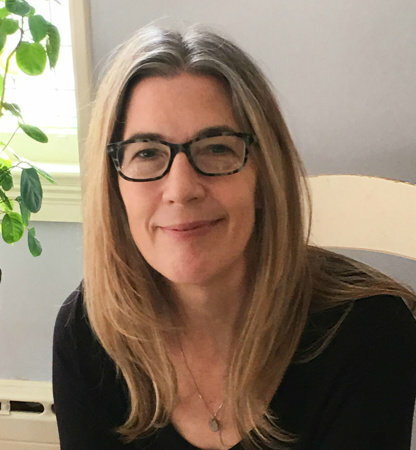 Author Holly McGhee and illustrator Pascal Lemaître join Matt Dillon and moderator Julie Burstein for a panel discussion about Come With Me and Refugees International. Watch until the end for a special message from the one and only Sam Waterston! Just as a book is more than the sum of its pages, sometimes a postcard is more than just a postcard. 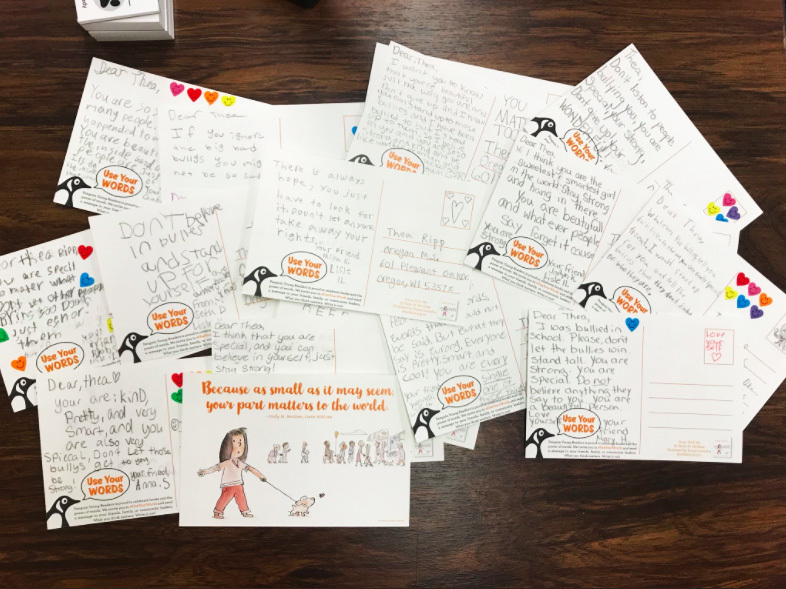 These are just a few ways in which schools around the country have been inspired by Come With Me to show kindness and gratitude via handwritten notes. 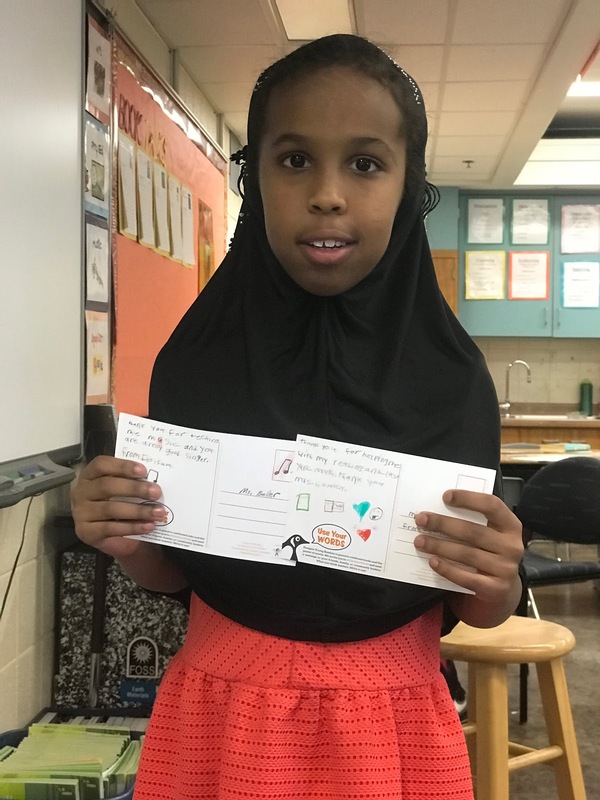 Teacher Patrick Andrus celebrated Unity Day at Prairie View Elementary in Minnesota by having his students wear orange to support anti-bullying efforts. 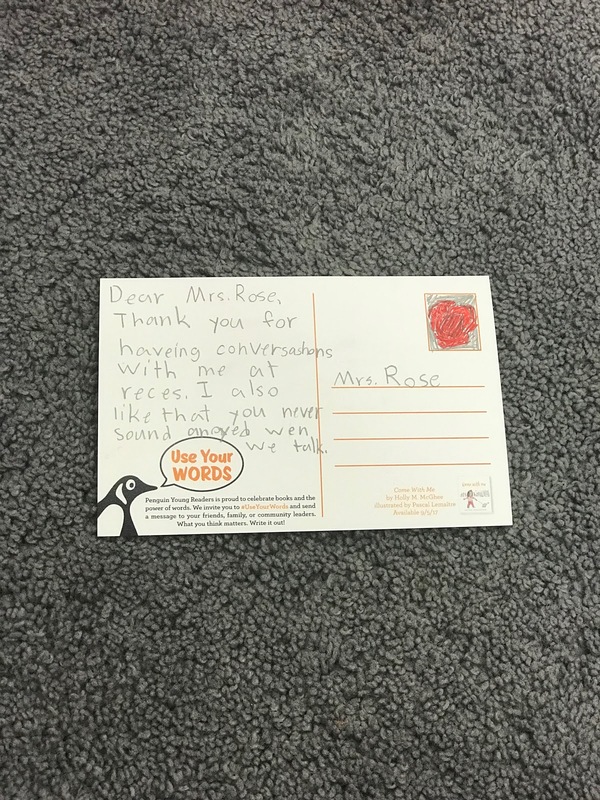 He then handed out a Come With Me postcard to each child so they could express their gratitude to a school worker of their choosing. Here are some examples. For more pictures and info about Unity Day, check out Patrick’s blog here! 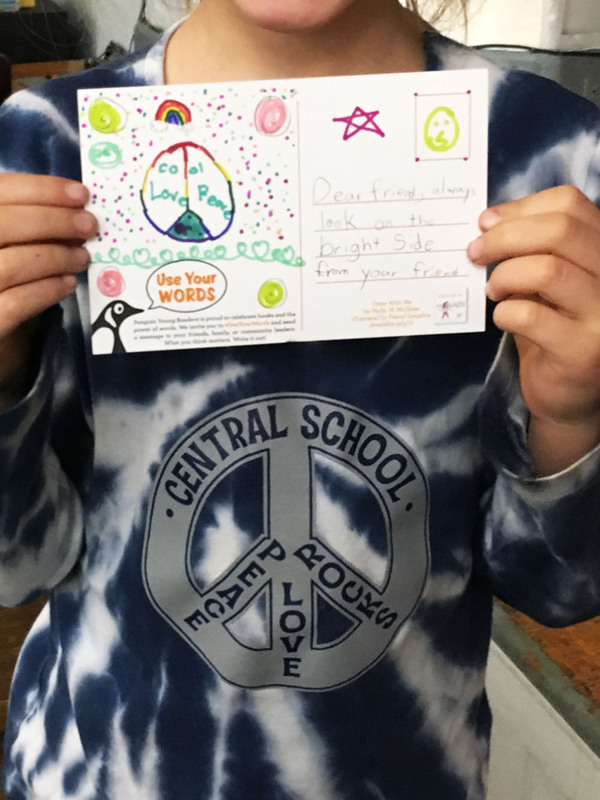 At Central School in New Jersey, the students read Come with Me and learned about helping others. 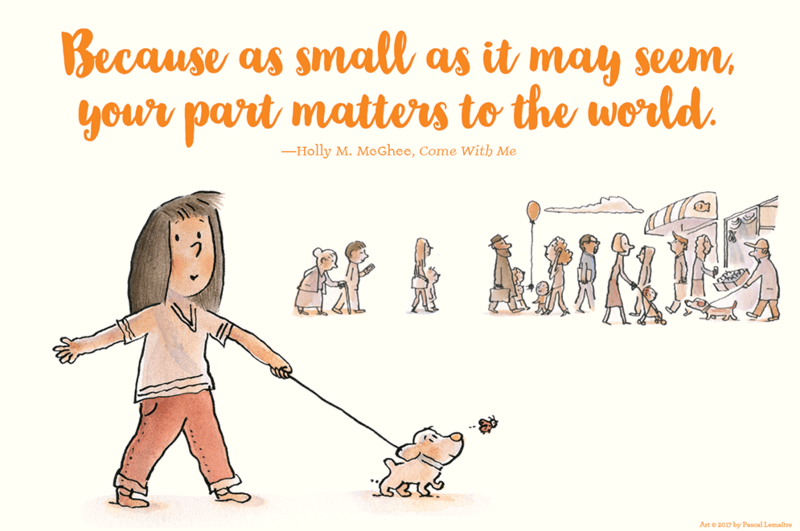 They also learned that their part in the world matters, no matter how small. 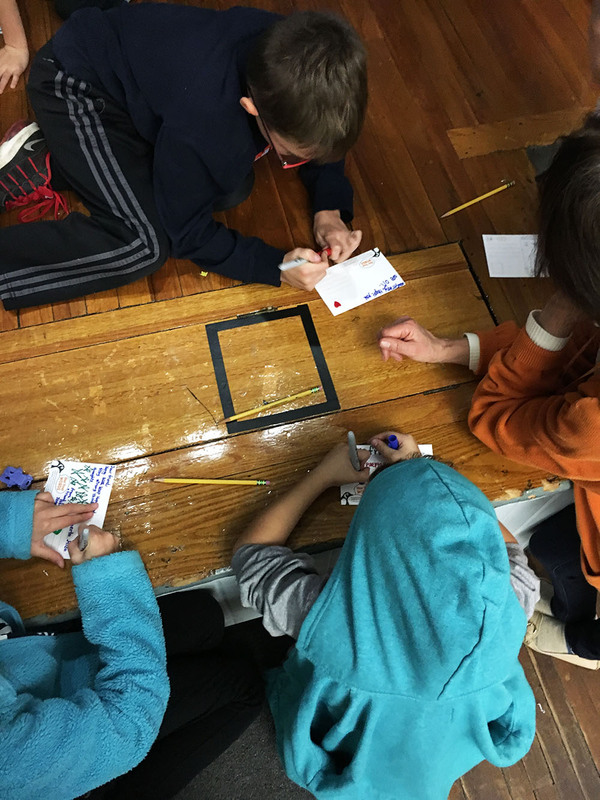 Each student was then given the opportunity to write a postcard to families in Los Naranjos, Puerto Rico. Once the students heard about the living conditions of these families, they were inspired to start a fundraising campaign for the Beds for Los Naranjos Project. This effort will help ensure at least one bed per household is provided as soon as possible. The students quickly met their goal of $3,000 and have since doubled it to $6,000. You can donate to their wonderful cause here! 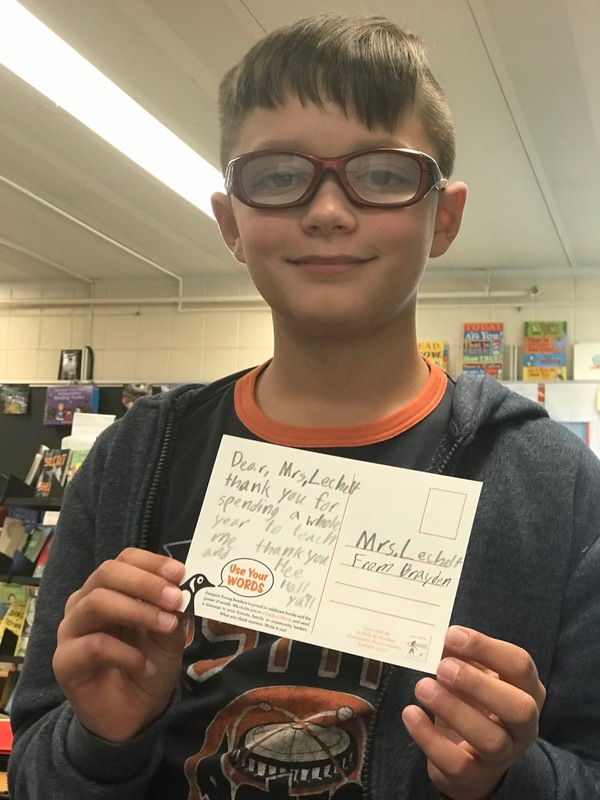 When the students in Lorie Barber‘s class at Schiesher Elementary in Illinois got a hold of their postcards, they knew exactly who they wanted to write to. 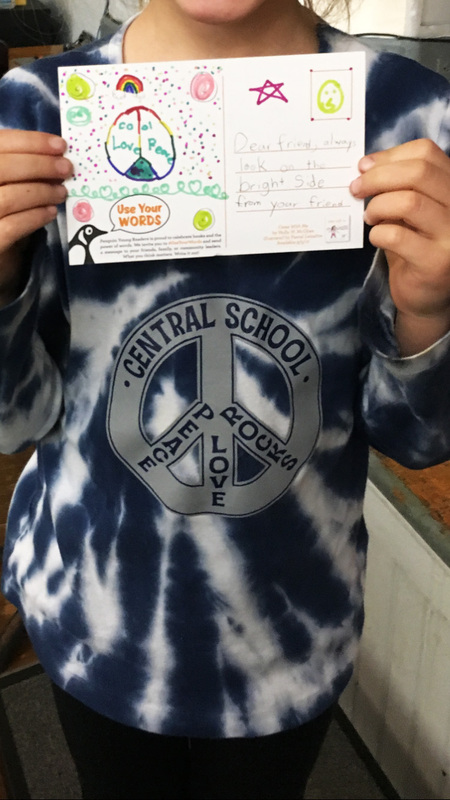 They took their time crafting messages for a young girl named Thea in Oregon, WI who has been a victim of terrible bullying. 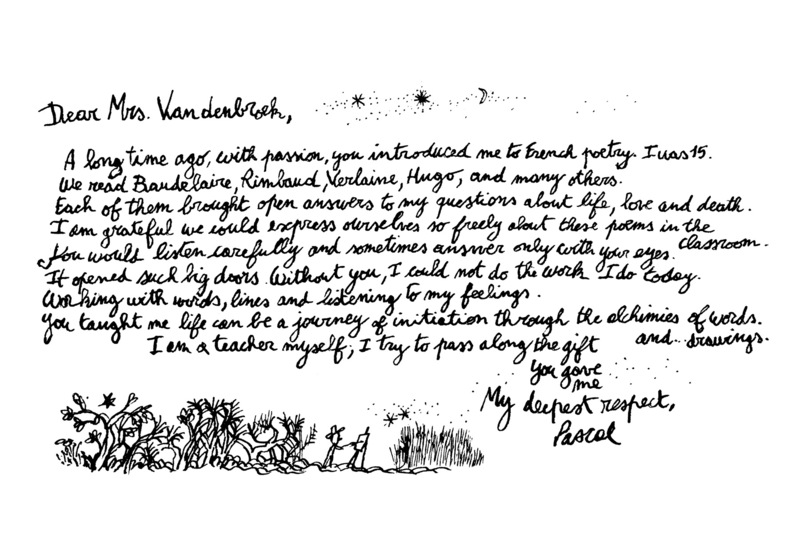 Read a note to nine-year-old Thea from her mother Pernille Ripp here. Want to use these postcards in your home or school? Download a printable pdf by clicking here or on the image below! 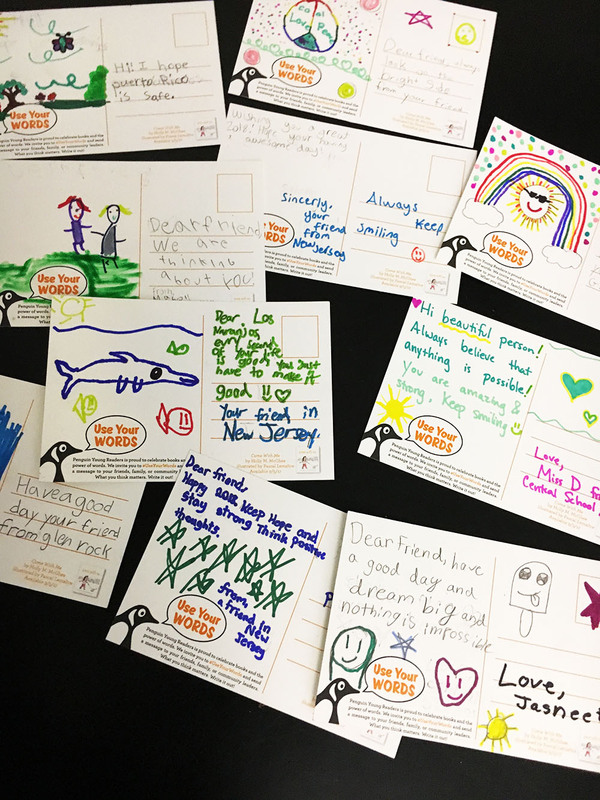 Inspired by their amazing young readers, author Holly McGhee and illustrator Pascal Lemaître decided to write postcards of their own. 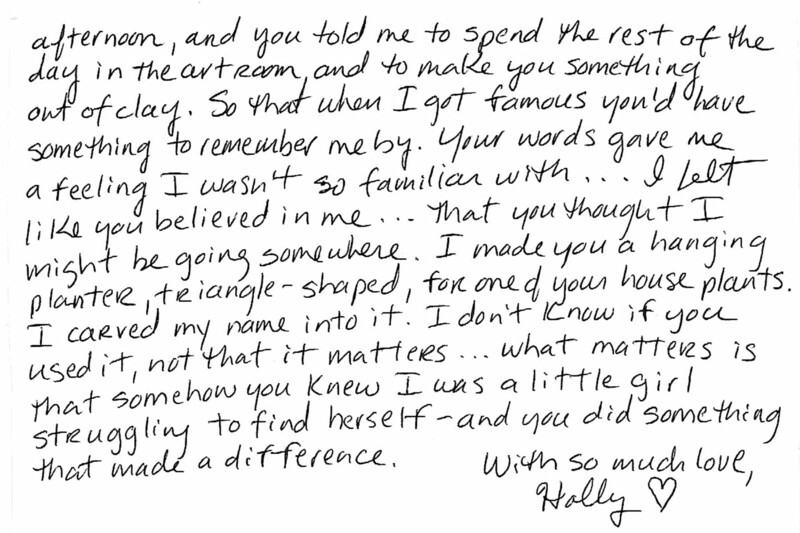 These are their personal notes to the teachers who changed their lives. You might remember me from fifth grade—I was the one who usually wore the same outfit: pink palazzo pants, a purple body suit, and a turquoise macramé belt. The belt had super long tassels that swung from side to side. I wore it because I had a lot of mixed feelings about my changing body, and that outfit made me feel okay. I also had a lot of mixed feelings about who I was in the world—sometimes I felt nice and sometimes I felt mean, and I didn’t know it was okay to feel both. But you did something that I’ll never ever forget, something that gave me a kernel of confidence I’ve carried with me all these days . . . you took me aside one afternoon, and you told me to spend the rest of the day in the art room, and to make you something out of clay. And then sign my name to it, so that when I got famous, you’d have something to remember me by. Your words gave me a feeling I wasn’t so familiar with . . . I felt like you believed in me . . . that you thought I was going places. And I made you a hanging planter, triangle-shaped, for one of your houseplants. I carved my name into it. I don’t know if you ever used it, not that it even matters . . . what matters is that somehow you knew I was a little girl struggling to find myself—and you did something that made a difference. A long time ago, with passion, you introduced me to French poetry. I was 15. We read Baudelaire, Rimbaud, Verlaine, Hugo, and many others. Each of them brought open answers to my questions about life, love, and death. I am grateful we could express ourselves so freely about these poems in the classroom. You would listen carefully and sometimes answer only with your eyes. It opened such big doors. Without you, I could not do the work I do today—working with words, lines, and listening to my feelings. You taught me life can be a journey of initiation through the alchemies of words and . . Z. drawings. I am a teacher myself; I try to pass along the gift you gave me. Want to join us in spreading gratitude? Then share this original illustration by Pascal Lemaître, along with a message about someone who made a difference in your life! Use the hashtag #BooksForBetter. 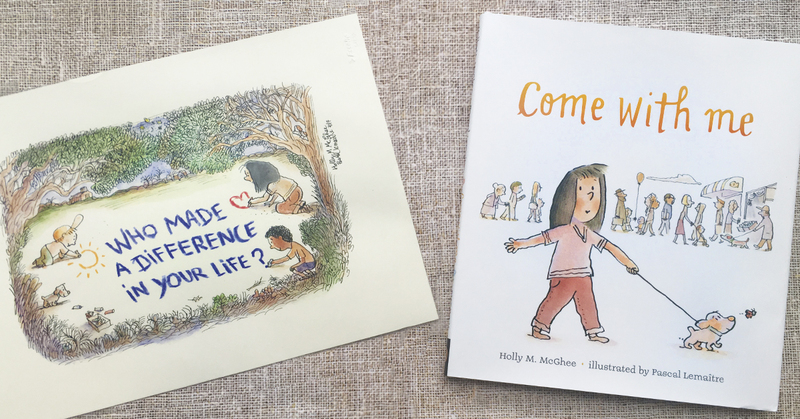 In keeping with the idea of saying thanks, author Holly McGhee and illustrator Pascal Lemaître have agreed to give away a signed copy of Come With Me AND the original art featured above, created exclusively for All The Wonders! That’s right, we’re giving away a hand-painted, one-of-a-kind, watercolor and ink illustration! Click the rafflecopter box below to enter and win! Come With Me is available now from Penguin Random House wherever books are sold! 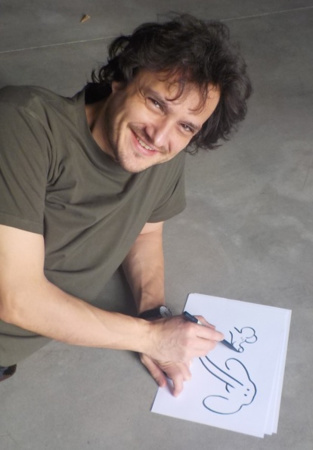 Pascal Lemaître is the illustrator of numerous books for young people and his editorial work appears regularly in The New Yorker, The New York Times, The New York Times Book Review, Time, and Print. He spends half the year in Brussels, where he teaches at Le Cambre, and half the year in Brooklyn, New York.